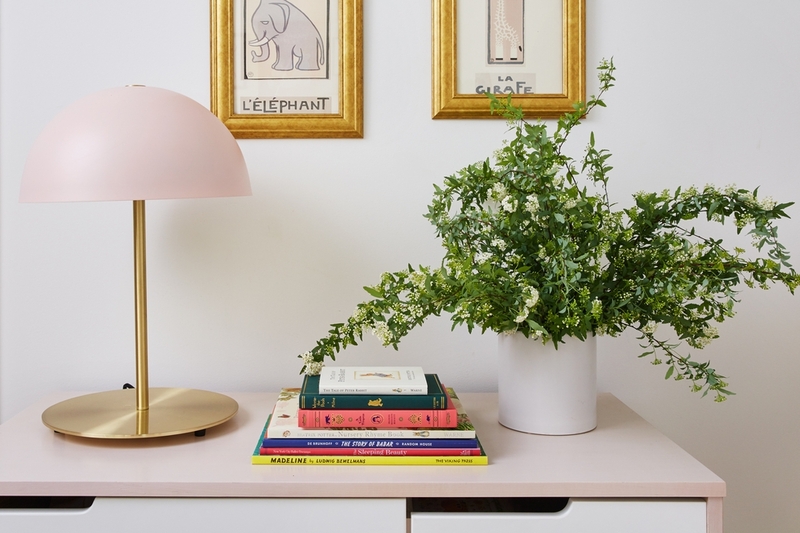 When fashion blogger Leandra Medine found out she was having twin girls she quickly turned to Decorist for design help. Since we had already designed her living room and master bedroom we were beyond ecstatic to continue on with her nursery. With her wildly addicting Instagram feed and her hilarious blog, Man Repeller, we new this room was also going to be a great design project in the making! 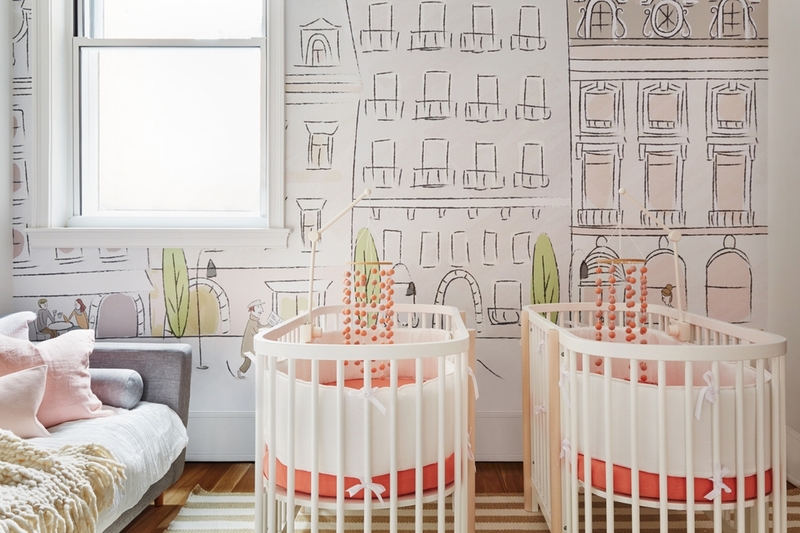 Leandra wanted a whimsical, Parisian-themed nursery that balanced form with functionality. And since she writes about some of the hottest fashion trends we knew that her nursery design would have to impress. We paired her with Decorist creative director, Jessica McCarthy, who took the design challenge head on. Partnering with buybuy Baby, Jessica created a chic, soothing space that was packed with plenty of Parisian style. 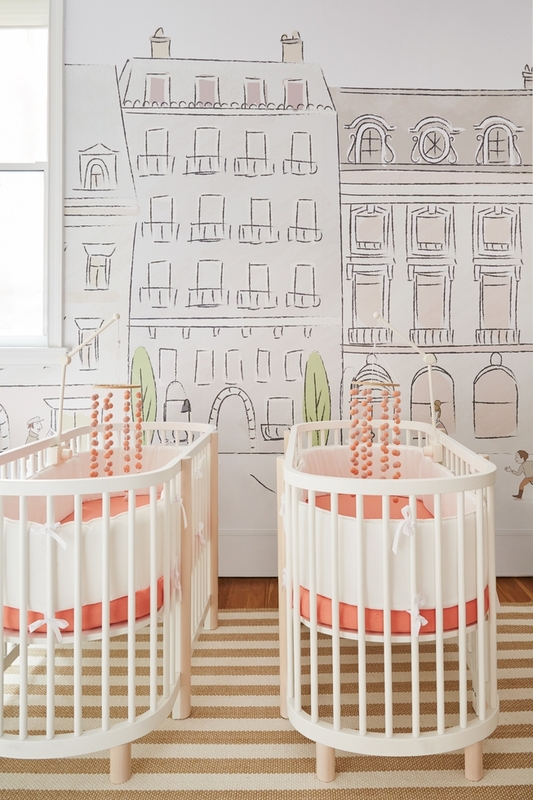 Read on to tour this adorable nursery and pick up some helpful design ideas along the way. Also, you can read more about it on POPSUGAR Moms. The nursery is located right off the living room, so the goal was to create a child-friendly space that was sophistication enough to fit in with the rest of Leandra's apartment. She wanted a playful but practical design that wasn't too pink or girly. 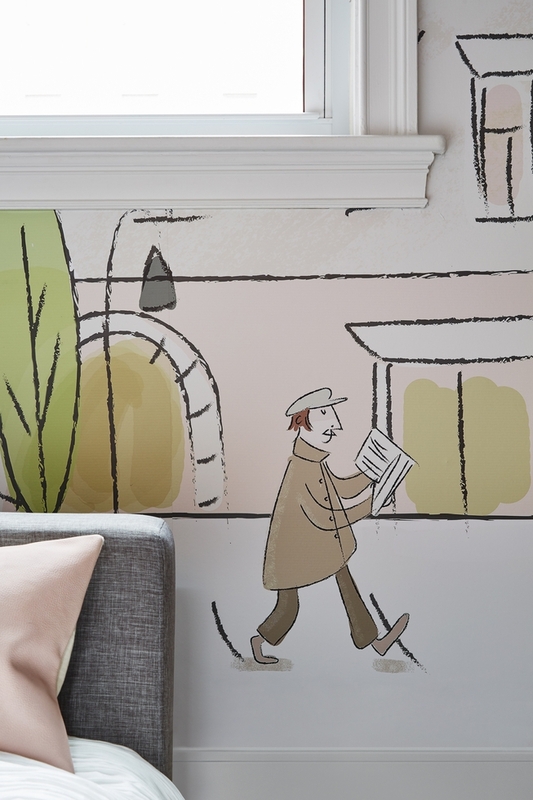 The muted French sidewalk mural from Anewall was the perfect backdrop to set the playful tone and color scheme for the room. The adorable illustration feels full of imagination and possibility. Jessica could picture the little girls playing and growing into the space over the years. As any parent having twins knows, there are some serious "must haves" for a nursery. And one of those for Leandra was a comfortable daybed for her night nurse. Wanting the nursery to flow with the modern vibe throughout the entire apartment, Jessica chose a grey upholstered daybed from buybuy Baby and added a variety of pastel pillows that balanced pattern and texture. This comfortable piece could serve as both bed and sofa. Jessica hung an adorable gallery wall of vintage posters above the daybed. Other neutral colors such as the muted beige and white striped rug mixed with discreet pops of color, a layered faux fur sheepskin and brass accents create a space that is reflective of Leandra's eclectic style. When living in a New York City apartment, space is often an issue— especially when you need two of most things. By having sleek, oval shaped cribs, the nursery did not feel over-crowded. And the modern design was a nod to Leandra's Scandniavian look throught out the rest of her aparment. Continued across the room, Jessica selected a multi-functional dresser that offered deep drawers, a storage cabinet and could double as a changing table. It's compact size and mid-century lines complement the oval cribs. The sweet vintage french animal art adds a timeless look and feel to the room and complements the artwork above the daybed. Have your own little one on the way and need help designing our dream nursery? Try a Decorist for buybuy Baby design project today and make your dreams a reality!